Pursuant to the presentation made by the GM/NWR to full Board on 06.03.2018, recommendations of the Committee have been considered by the Board (ME,MT,MS,FC,CRB) Following key recommendations have been approved by CRB. 1. At the time of exercising option for fixation of pay the employee shall be provided with two options for calculation of pay so that he is able to pick up the best. As the employee would be exercising the option in a more informed manner, a wider window be provided to them, if they seek to change the option, and Master Circular for the pay fixation should be suitably amended. 2. Zonal Railways can consider providing accommodation (not leased) strictly for family of field level staff at a nodal station generally within 50-100 kms of the way side station where he or she is posted. The Zonal Railway may chose the nodal station on their own where they want to operate this scheme as per feasibility and allot vacant quarters at the nodal stations on the first come fist serve basis. If required some of the way side station quarters can be converted into transit camp or dormitories at the discretions of Zonal Railways. This would alleviate a major concern of out field staff who face problems on this account. GM’s may take necessary action based on the above. 3. It would be better to provide resting facility with toilets at manned level crossings for use by the trackmen and other field staff. This facility can be a temporary structure made up of porta cabins and be provided within the sanctioned budget of the Zonal Railways. 4. All other items which are apparently of general nature may be taken up as a pilot project by GM/NWR for which he is being fully authorized. The result of the pilot project be sent to Board for further action. Concerned Directorates will issue necessary detailed instructions in respect of items at 1,2 & 3 above in particular and other items listed in the Annexure wherever necessary. This issues with the concurrence of Associate Finance of Transformation Cell. 1. Development of E-HRMS by CRIS needs to be expedited. CRIS should consolidate the features of various applications developed by Zonal Railways and PUs. The E-HRMS should also have interface with the existing applications like IPAS, ARPAN, Nivaran etc. 2. Mobile phones of all the employees may be captured in the database of IPAS and should be used for disseminating information relevant for employee. GM/NWR may introduce it in one of the divisions. 3. Employees charter should be extended to including the other service departments like Medical, Finance, Housing, Electrical etc. GM/NWR may finalise and adopt on NWR as a pilot. 4. Railway Residents Management Association should be formed in all major colonies, members of RRMA should necessarily be residents of those colonies. These RRMA should decide the priorities of the works to be undertaken in the available budget for the maintenance of houses. RRMA would also finalize the priority of works for finalization under Demand-16. RRMA should also monitor the works being carried out by the existing agencies. GM/NWR may take necessary action and advise other zones to follow these guidelines. 5. Emergency Helpline for security/fire and medical should be established at all major railway colonies. The helpline number should be displayed at vantage points in the colonies as well as in the telephone directory. All the zonal railways may implement this scheme. Rehabilitation of coaches/rolling stocks is charged to Capital (PH-21), periodical major repairs to railway houses also needs to be done through planned outlay from Capital. ME mentioned that this initiative will be taken fon/vard and a concept paper will be put up for consideration of the Board shortly. 6. National Institute of Design should be asked to design "Indian Railway Brand" Badge for all officers and staff, wearing of uniform or a logo at work on one day a week. GM/NWR may take this initiative forward. 7. Mentoring scheme should be started in Indian Railway. Officers, Supervisors and Sr. Level workers who have necessary skills to be selected as Mentors should be trained as mentors proficiently. 7.1 Each Mentors should have around 10-12 staff to look after for Mentoring. 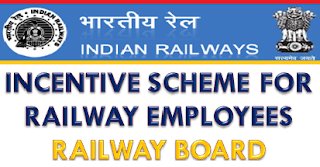 7.2 Whenever new employees join, they should be given all necessary information through the Indian Railway Website/RRB Website giving contact details, process of medical, documents required, and forms to be filled & general information about IR etc. 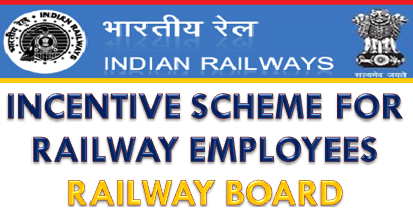 7.3 Successful RRB recruits to be provided with an information booklet containing all above details. MS to decide on the format to be developed for such information booklet/brochure. 7.4 These booklets should also be printed and given to these employees as they report to the respective units. GM/NWR may firm up modalities and implement on NWR. 8. Service records verifications must be carried out at regular intervals of 10 years. A system needs to be started for creating alerts for service record verifications of employees due retirement in next one year. This was also approved in principle. GM/NWR may implement it on NWR. Others to follow. 9. Minimum Essential Amenities for workplaces, houses, colonies etc must be defined. GM/NWR may further work it for a pilot on one of the locations on NWR and send the proposal to ME and MTR for consideration. 10. Contract conditions for giving hospitality contracts for Rest Houses, Holiday Homes should be modified to include the eligibility criteria for the tenderers so that only qualified hospitality chains are able to compete. GM/NWR may implement it on NWR as a pilot. 11. Railway premises must be secured with fencing/ boundary wall along with enhanced lighting & CCTV cameras. GM/NWR may try to do a pilot at one central location and furnish feedback. 12 Psychological counsellors may be hired on contract basis for major railway colonies for counselling of the staff and their families. GM/NWR may do it as a pilot in one of the zonal hospital on NWR and furnish feedback. 13. Skill Gap analysis must be carried out every 5 years for all categories to identify the need of training of different categories of employees & ensure that they are abreast of the technology. GM/NWR may do it as a pilot on NWR. 14. Employee satisfaction survey may be carried out through a professional agency to gauge the effectiveness of railway welfare skills/programmes. The future welfare inputs should be based on the employees satisfaction survey. GWNWR may do it as a pilot at NWR.